These were just some of the words uttered around fan circles after UND’s 5-1 drubbing at the hands of Bemidji State this past Friday as the Beavers looked more like the No. 2 team in the country, dominating North Dakota in every facet in Grand Forks. But, as the home-and-home series turned to Bemidji on Saturday, UND got back to what brought them to the verge of a national title game last season; lockdown defense and timely scoring, and North Dakota got an important 2-1 win and a non-conference split. North Dakota played a much grittier game on Saturday night, getting to the front of the net and generating chances, and that play showed through. Senior captain Stephane Pattyn’s short-handed goal in the second period provided enough cushion for junior netminder Zane McIntyre’s steady 28-save effort in the win. Move on No. 3 UND does, right into NCHC play with this weekend’s series (8:30 p.m. CT Friday, 8 p.m. CT Saturday) against Colorado College in Colorado Springs. The Tigers got a sweep last weekend at the hands of lowly Alabama-Huntsville 3-2 and 4-3, but it took some late-game heroics. Senior captain Peter Stoykewych netted the game-winning goal with 5:26 to go to seal the sweep against a Charger team that went 2-34-1 last year. A sweep is a sweep, regardless of the opponent, however. 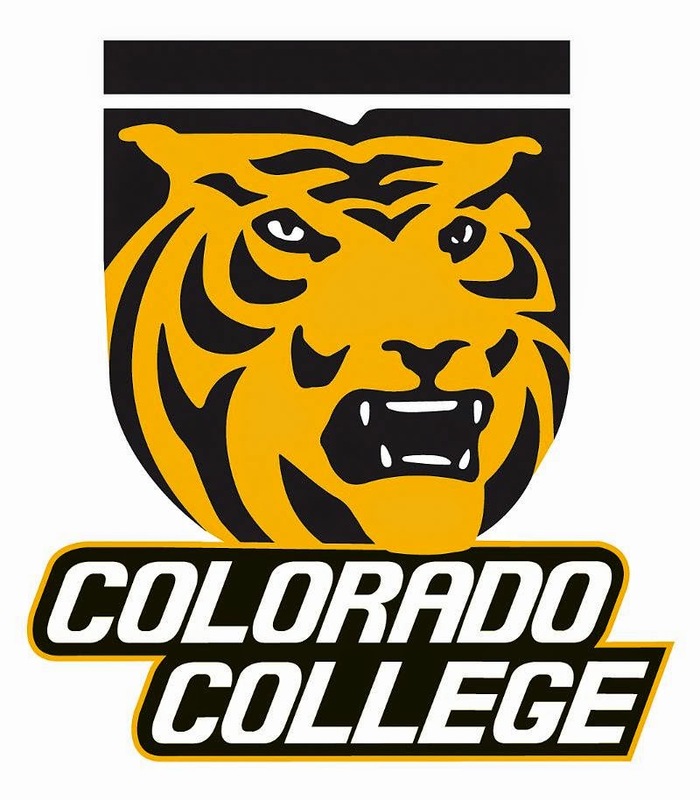 Colorado College is led by a solid defensive corps. Along with Stoykewych, the blueline is anchored by all-NCHC preseason pick, sophomore Jaccob Slavin. Slavin had a dynamic freshman campaign with a 20-point (5g, 20a) year. Offensively, the Tigers look to continue to improve from last year’s paltry 56th ranked scoring after a 7-goal weekend against UAH. Upfront, a pair of sophomores, Alex Roos and Sam Rothstein, look to provide CC’s scoring. Expect to see a pair of goaltenders this weekend for the Tigers as CC tries to find a steady replacement for longtime netminder Josh Thorimbert, who graduated after last season. Junior Tyler Marble got both wins last week, winning Friday night’s matchup and replacing a shaky freshman Chase Perry last Saturday night that saw the rookie get the hook after allowing three goals on nine shots through two periods. Last Saturday night, UND got back to what made them successful last season and shutdown a game BSU team that was looking for an early-season sweep. DDC sees this continue this weekend in the Rocky Mountains. The big ice sheet and elevation in Colorado Springs always seems to give UND trouble, but expect to see North Dakota clamp down on defense again against a team that hasn’t proven it has the offensive guns as of yet to keep up with solid defense. The extra space should provide a group of speedy forwards in junior Drake Caggiula, freshman Nick Schmaltz and sophomore Luke Johnson plenty of scoring opportunities. Pairing that with the play-making ability of d-men junior Jordan Schmaltz, sophomore Paul LaDue and senior Nick Mattson, UND’s talent will open up the transition game and pot some goals.